Air Source heat pumps, transfer energy from the ambient air outside a property into a heating system within a property. A large fan draws the outside air over the heat pump which transfers the heat energy from the air to the heating system. Why do Champion Heating use “Performance Plus” Heat Pumps? HWHP is the leading manufacturer of single purpose, dual purpose and triple purpose Heat Pumps in New Zealand since early 1980s. During this long period, they have stuck to what they know best which has been developing, manufacturing and applying water heating heat pumps. In the past 28 years HWHP has been responsible for the development of a range of new high efficiency products with many being world firsts in design. 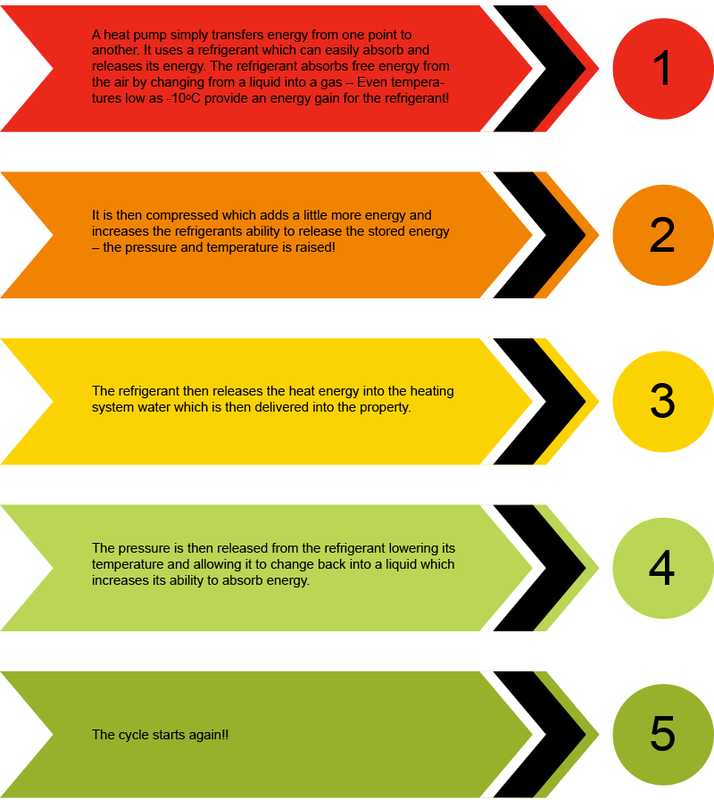 HWHP offers the widest range of Water Heating Heat pumps in New Zealand. There are 36 different standard models from 6 kW to 250kW output units. We have provided some of the best possible off the shelf and custom-built heat pump solutions available. Provide a uniform desired set temperature throughout the year no matter what the weather is like. Are not dependent on direct sunrays. Because “P+” Heat pumps are using renewable energy, they are safer and cleaner to run than a gas/diesel fossil fuel burner. “P+” Heat pumps are specifically designed for optimal performance even in freezing conditions, ensuring trouble free heating all year. “P+” Heat pumps are more efficient (average efficiency of 200 to 400%) therefore they cost less to run than gas/diesel heaters or electric elements. “P+” has the widest range of Heat pumps. They come in 36 different models from 6 to 250kw output units. Are made of high quality components, therefore, less unit failures. Low operating, energy and maintenance costs. Have long life expectancy and are very durable. Automatically maintains the desired temperature. Excellent after sales service and free experienced technical support.